Eucalyptus has been identified as a genus with potential for short rotation forestry in the UK. This article assesses the suitability of Eucalyptus for biomass production. The first part of the article compares Eucalyptus nitens and Eucalyptus gunnii against short rotation forestry (SRF) species proposed by Hardcastle (A review of the impacts of short-rotation forestry, LTS International, Edinburgh, 2006), while the second part discusses limitations to the growing of eucalypts in the UK and how they may be overcome. Eucalypts compare favourably with other tree species in the UK in terms of rapid growth (up to 30 m3 ha−1 y−1) over short rotations of 10–15 years. The only genus that is potentially as productive in the UK is Nothofagus. Furthermore, most species will readily coppice, enabling regeneration after damage and avoiding the costs of replanting. The wood characteristics compare positively with other SRF species, exhibiting a moderate wood density, but limitations are a relatively high moisture and chlorine content. Many of the SRF species listed in Hardcastle (2006) are now damaged or under threat from damage by exotic pests or diseases. Eucalypts are currently relatively free from such damage. It is cold temperatures that most limits the use of eucalypts in the UK. Eucalypts, particularly when young are vulnerable to damage from cold weather events, particularly when temperatures drop rapidly. However, the risk can be reduced by planting appropriate species and provenances, facilitating rapid growth as smaller trees are more vulnerable and by focusing on species that coppice following damage. The authors would like to thank Professor Julian Evans and Dr Bill Mason for encouraging the writing of this review, originally as part of a PhD thesis. 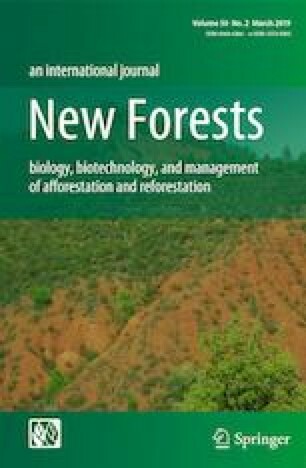 They would also like to acknowledge the assistance of Dr James Morison of Forest Research, the two anonymous referees and the editor for providing constructive comments on the draft manuscript.